The EOS 5D Mark III is a full-frame 22.3-megapixel DSLR with 61-point autofocus and 6 fps continuous shooting. Capture high-quality Full HD movies, with manual control over everything from frame rate to audio. 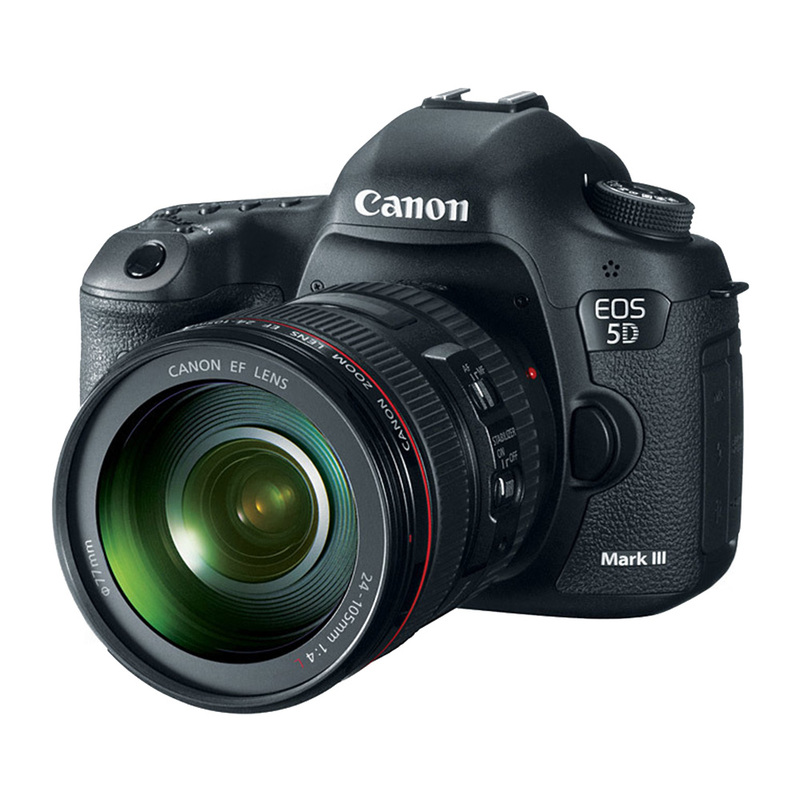 Most of the key specs are substantially upgraded compared to the 5D Mark II. The new sensor, coupled with Canon’s latest DIGIC 5+ processor, offers a standard ISO range of 100 – 25,600 that’s expandable to 50 – 102,800. An 8-channel sensor readout enables continuous shooting at 6 fps. Viewfinder coverage is a full 100%, and the 1040k dot, 3:2 aspect ratio 3.2″ LCD screen has improved anti-reflection properties and a 61-point focus system.